I have rendered and saved as pngs. 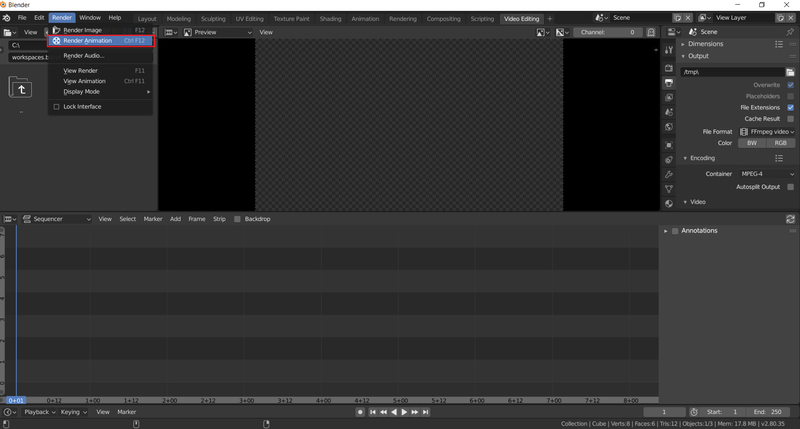 I then try to save in the output area as any of the options, but they are always blender file that only open in blender, not avi,mpeg or any other. Using 2.8. Any ideas? Is there a save key or option other than this? If you want to render single image, you can press F12 (Top menu:Render>Render image). 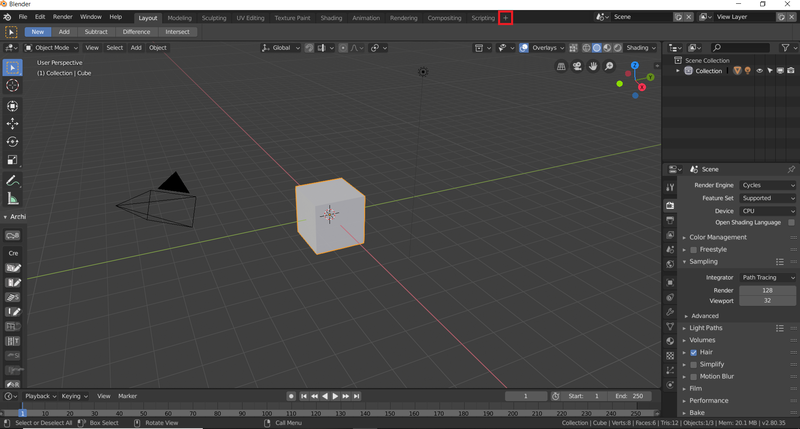 Then your image is displayed in Blender Render window. You can save this image by pressing Shift+S (Top menu: Image>Save as). Then you can choose filename and file type. If you want to render image sequence, you have to go to output panel (usually located at bottom right of the screen (or right panel if you are using Rendering layout), its card has printer icon). Choose resolution, directory which should contain resulting files and file type (for example PNG). Then hit Ctrl+F12 (Top menu:Render>Render Animation). Images should appear in directory you choose, no other action is required. If you want to render video file, you can do it similarly to prevous steps, but instead of choosing image type such as PNG, choose FFmpeg video and specify details in Encoding section. Again, after pressing Ctrl+F12, resulting file will show up in directory you have choosen in Output card. If you render bigger project, it's good idea to render to images in case something breaks during render, or you realize you want to change something and re-render some images. 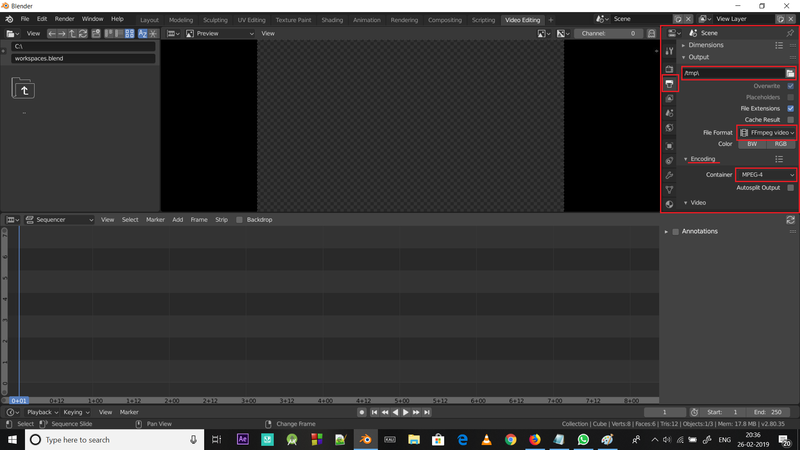 If you want to make single video from image sequence, open new Blender file using File>New>Video Editing. Hover mouse over Video Sequencer and press Shift+A. Click Image/Sequence. Go to directory where you stored your image sequence, select all images (A) and press Add Image Strip. 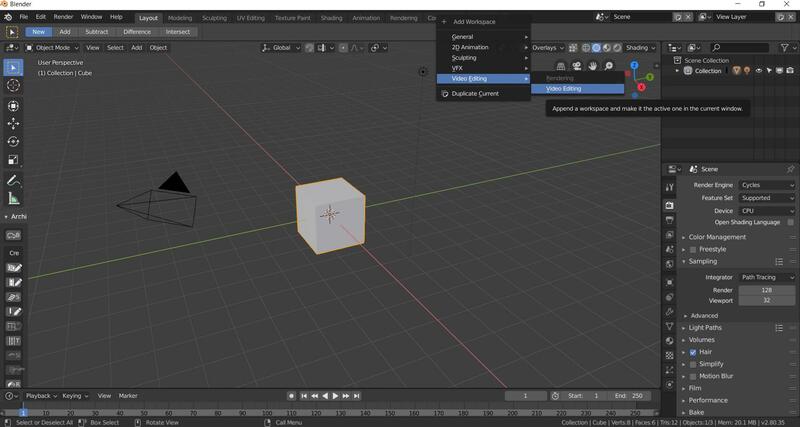 Choose render-resolution and frame-rate and render in a same way as I described above. Pressing Ctrl+S (File>Save) or Shift+Ctrl+S (File>Save as) is reserved only for saving .blend file. I think you want your animation as video that are saved in /tmp file. As @user224348 said in his 3rd paragraph, you just have to add your images in Video Sequence Editor(VSE), this is how you can do this. Go to Video Editing>Video Editing. Press Spacbar to play in 2.80(2.79 has Alt+A). It will play slow at first, as it loads all images and make it a video. After first load it will play smoothly as expected. Also set total frames(Default: 250) in Blender to how much frames or images you have! And this is important,... for example if your animation is shorter than 250 frames it will turn black at the end of the video if your frames are less than 250. See the panel at right, there is an option of output. Go to Output, change fileformat from PNG to ff-mpeg video, go to encoding and change container from Matroska to MPEG-4. 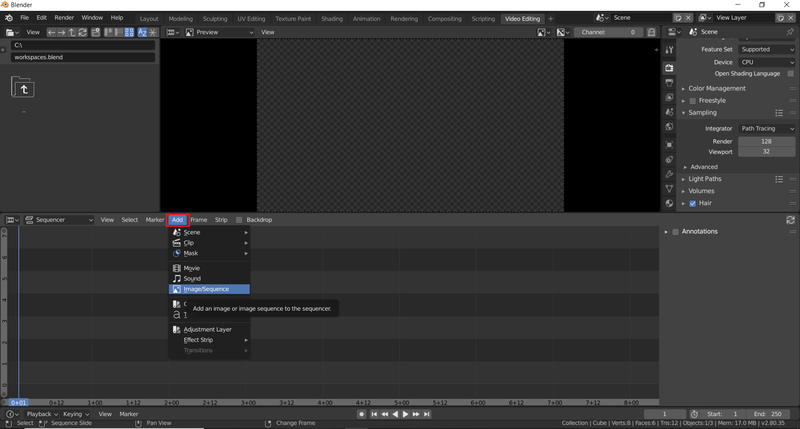 Your output video file will be in /tmp you change it accordingly. 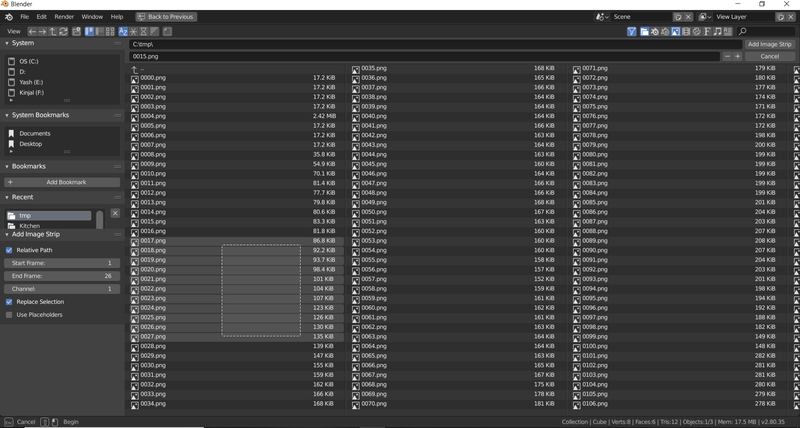 After it finishes you will have your video animation in /tmp folder. Textures messed up after exporting! How to change the default value of Image compression?